The outdoor lifestyle is packed full of challenges and a normal knife might not always get the job done. Once you move into tough bushes and shrubs, you need something to chop your way through the jungle and make it to the other side. For this, the ESEE Junglas Fixed Blade Knife is an excellent tool to carry with you on your journey. The ESEE Junglas Fixed Blade Knife is designed to be the ultimate heavy duty survival knife. It is designed to take a beating, making it an effective tool for survival purposes. Since it has a massive blade, you will see that it makes light work of heavy duty items such as tree trunks and shelter building. Hiking is something we love doing on regular occasions and the most essential tool that any outdoor enthusiast should have in their kit is a knife. However, the chopper is often left out and it might even be too large for many people. 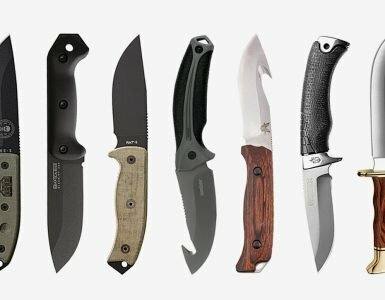 In this article, you will see why we love the chopper and find out if the ESEE Junglas Fixed Blade Knife is ideal for your collection of tools. Having used and tested many knives before, I can say that this is one of the most intimidating knives I have ever seen. The ESEE Junglas Fixed Blade Knife is not just a knife, but when you hold it in your hands, it feels like holding a short sword. This sword is designed to make life easier for you when you are outdoors. It is not the smallest of knives and comes in with an overall length of 16.5-inches. This can be a little daunting to carry around, especially with a weight of 22-ounces. 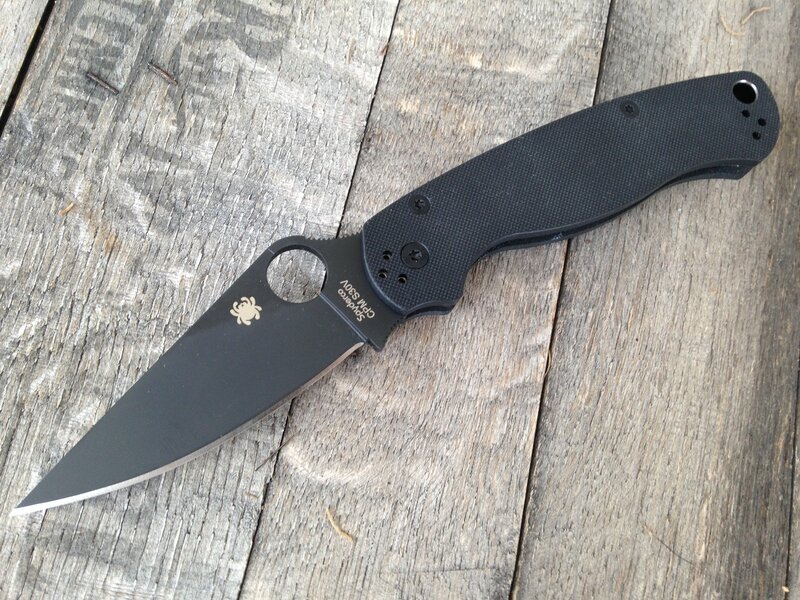 For the blade, you have 10.5-inches to play that has been constructed from high carbon steel. You can be assured that it has durability and tensile strength. The blade itself is massive as we have mentioned, but it keeps the edge sharp much longer than we expected. Even with batoning, you only need to hone it once in a blue moon, the blade will remain in the best possible condition. It includes a finish and while we are not quite sure what has been used, it is corrosion resistant. Moving to the handle, you will see that it is actually basic. Basic does not mean bad and the two slabs of Micarta Canvas certainly makes it look plain but effective. Since they have been screwed together, you can occasionally remove them if you want to add something else. However, the current handle does not need any maintenance and won’t retain water. When you have such a large knife, you need somewhere to place if to remain protected. The sheath is not just any sheath, but it is constructed from Kydex and Cordura. This gives it water resistance properties and allows the blade to easily slide in and out of the sheath without taking damage to the blade. Your sheath is not only designed to fit your belt and allow you the comfort to carry it around, but it is also MOLLE-Compatible. Being MOLLE-Compatible, allows you to attach it to your backpack and can be used in military situations. This should be a clear indication that the knife can still or could have been used for military purposes. While the knife itself does not have any issues, you might have noticed that it is not designed for everyday carry or finer work. According to the law in most US states, the blade needs to be under 5-inches for open or concealed carry. You might need to consult a law expert to find out how to get your own permit for everyday carry. We will note that the Esee Junglas does manage to make shavings and kindle for fire quite easily. If you don’t like the standard look or the design of the knife, there are a couple of different color options to choose from. However, these might vary in price since they are considered to be custom made and take more effort to produce. Who Should Buy This Knife? If you have gone through the trouble of reading the review, you should know by now that this knife is not for everyone. If you are a survivalist or outdoors enthusiast this knife may just be for you. The knife is not recommended for everyday carry and can also get you in a bit of trouble with the law. We would recommend it to users who love to trek through the tough bushes and need something to help them clear a path. We also recommend it for people who might need to build shelters, who baton or who need to set up camp. Unfortunately, it won’t allow you to do all of those finer work that requires a lot of control. The ESEE Junglas Fixed Blade Knife is by far one of the top knives that stands out from the rest of the crowd. The knife is made for the serious outdoor lover. It might be a little on the stale side when it comes to the overall design, but when put in practice, you will forget about the aesthetics and it will work as intended. If you love the outdoor lifestyle and you have used this knife before, we would like to encourage you to share some of your thoughts. 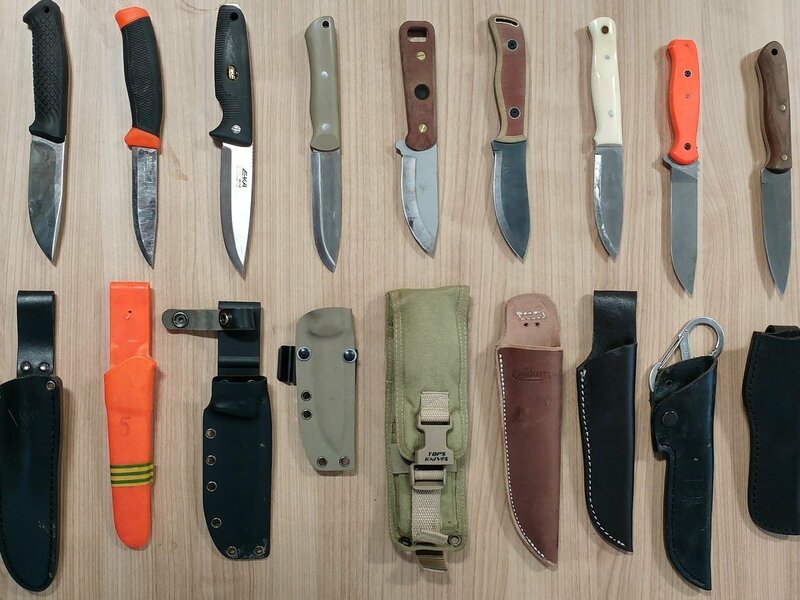 We would also like to see some of the other great hacking knives that you have used before.